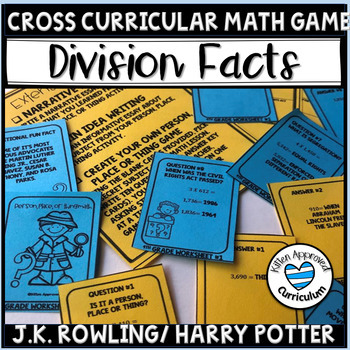 Practice division while learning facts about JK Rowling and Harry Potter in this fun math game, similar to 20 questions! After completing worksheets, students practice their writing skills with an informational paragraph on their subject. 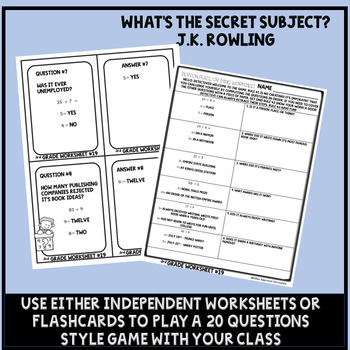 Reinforce content from multiple disciplines in one activity. 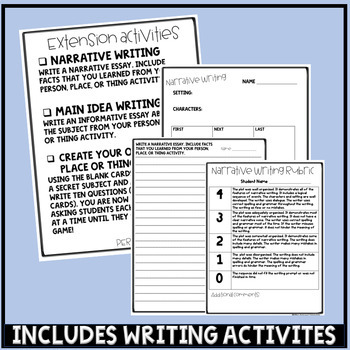 This activity is perfect for review, early finishers, whole class, differentiation, enrichment, and sub packets! Save the most money with my 3rd Grade Mega Bundle! Looking for another grade level of this resource? Build up TPT credit by leaving feedback on our products! Submit feedback at the time of purchase or go to My Purchases for a list of what you have previously purchased. Next to the product title is a Leave Feedback button. Click and leave a rating and comment to receive your credits. Go to TPT Credits to learn how to redeem your credits on future purchases!